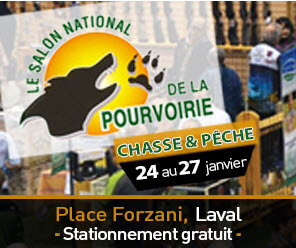 Outfitter Fer à Cheval offers several options for fishermen who wish to cross swords with our many species of fish. 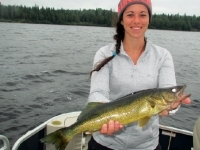 Our 35 lakes brings much diversity while still allowing for a balanced management of our fish populations. 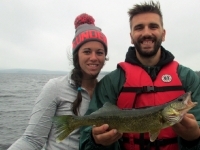 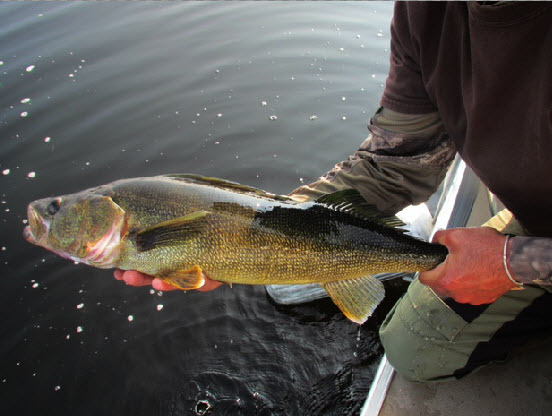 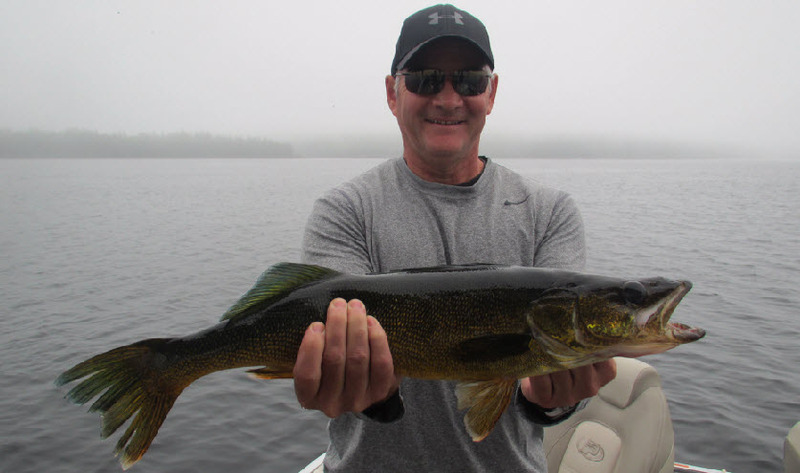 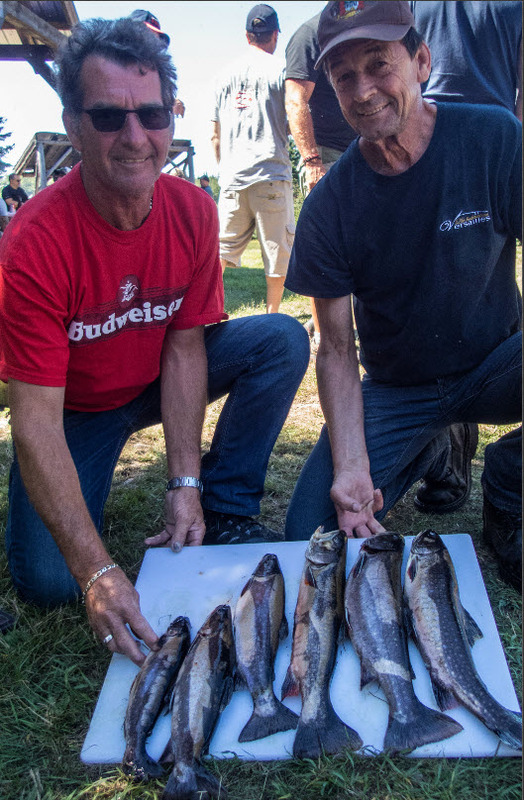 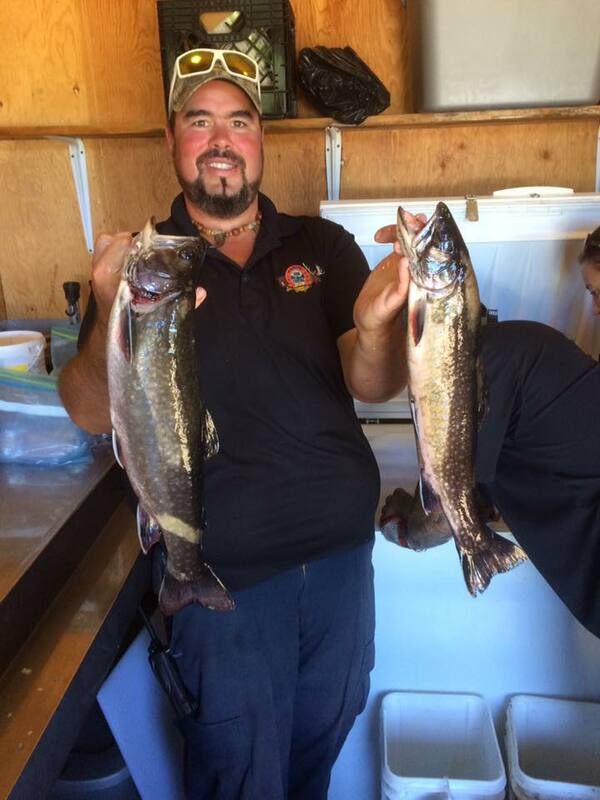 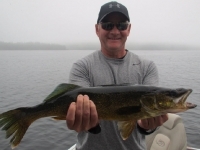 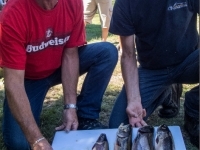 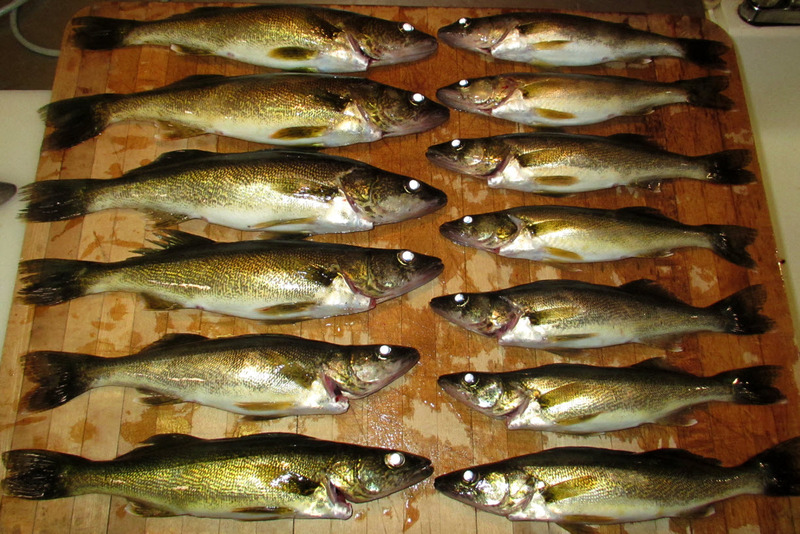 Walleye, trout, pike and lake trout are the most valuable species in the lakes. 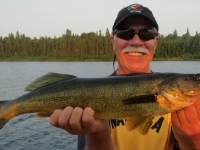 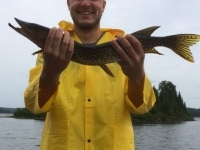 We have 20 lakes with trout and 12 lakes with walleye and pike. 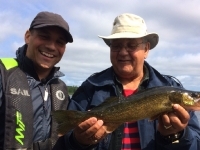 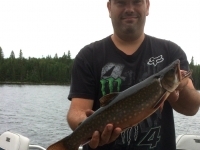 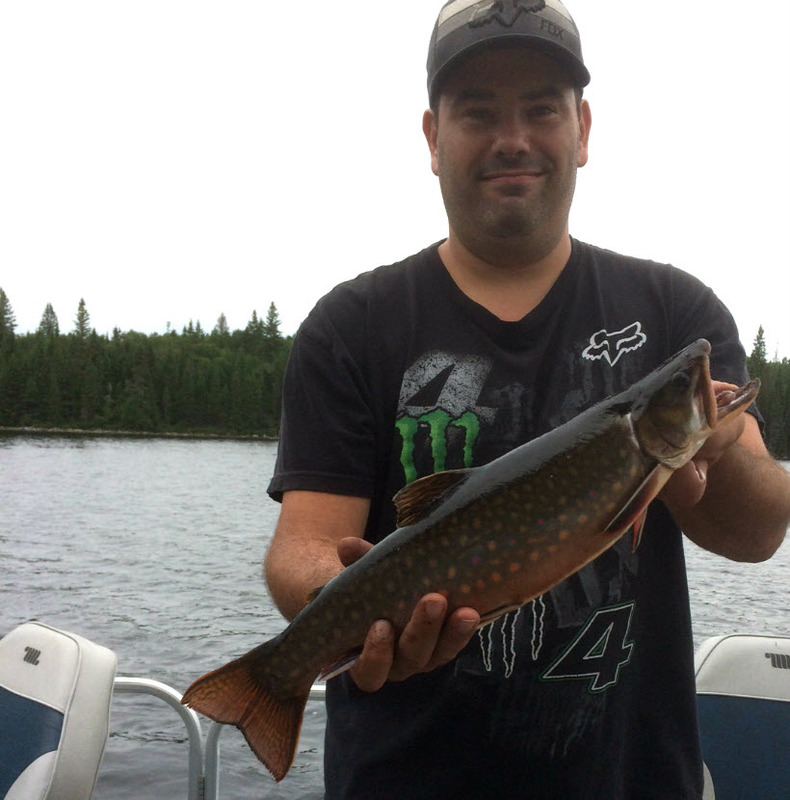 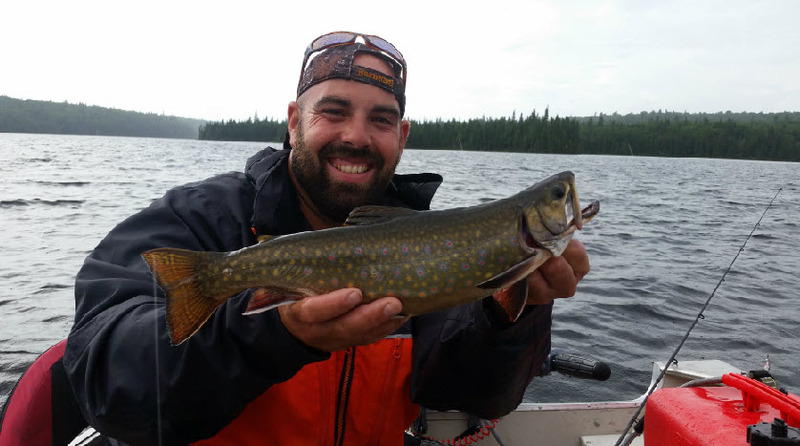 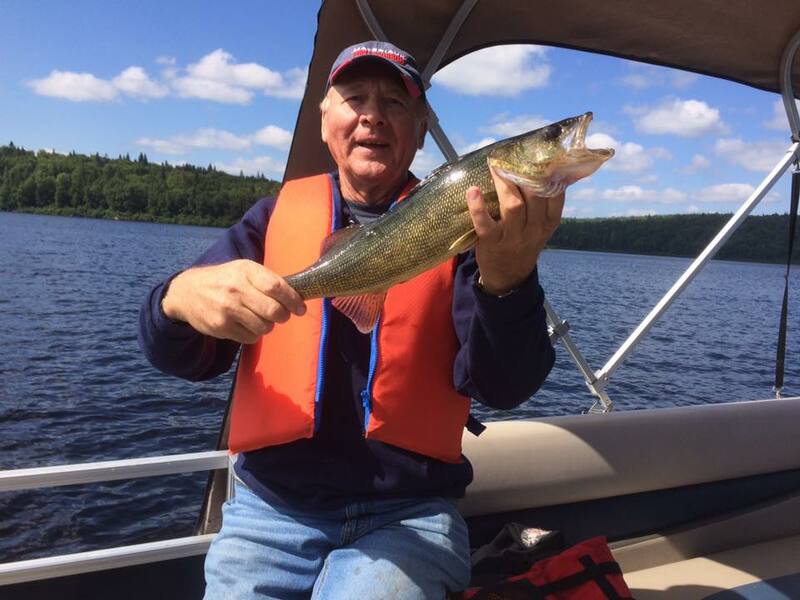 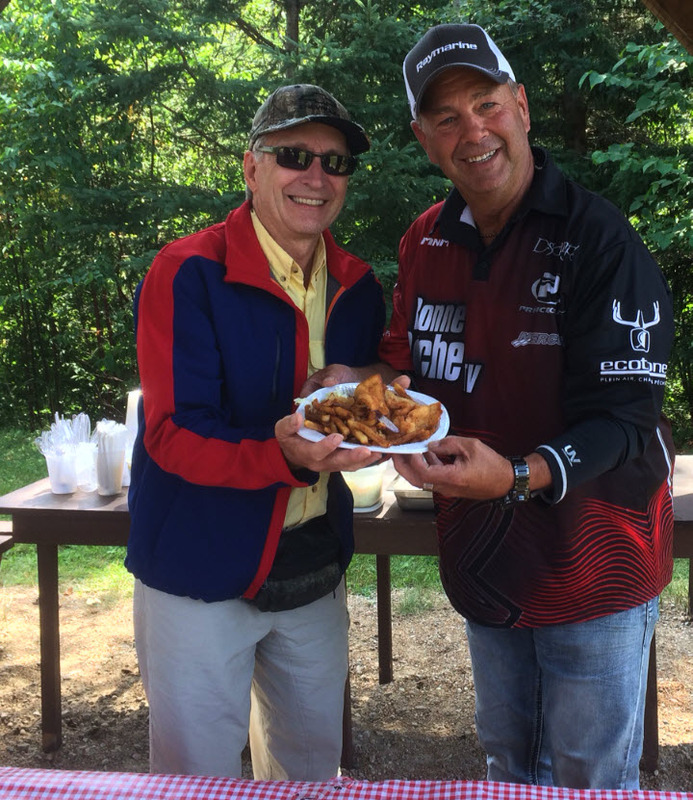 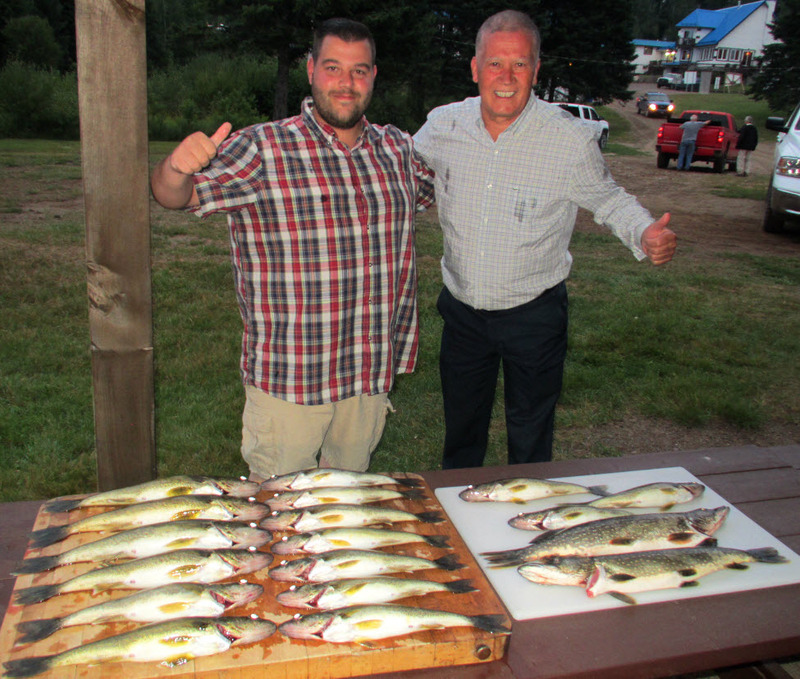 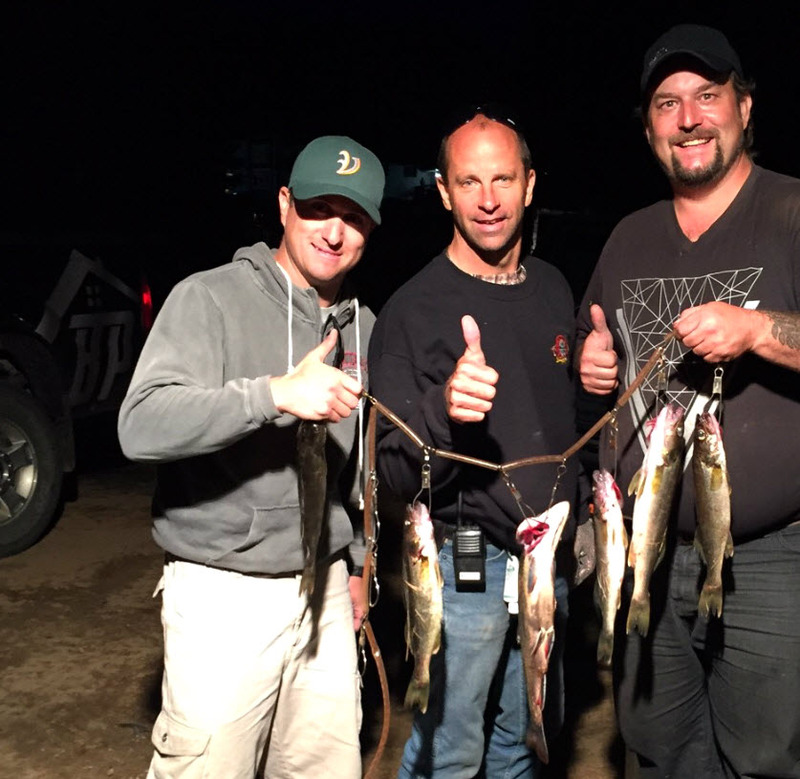 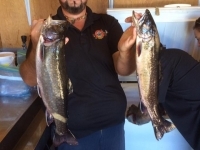 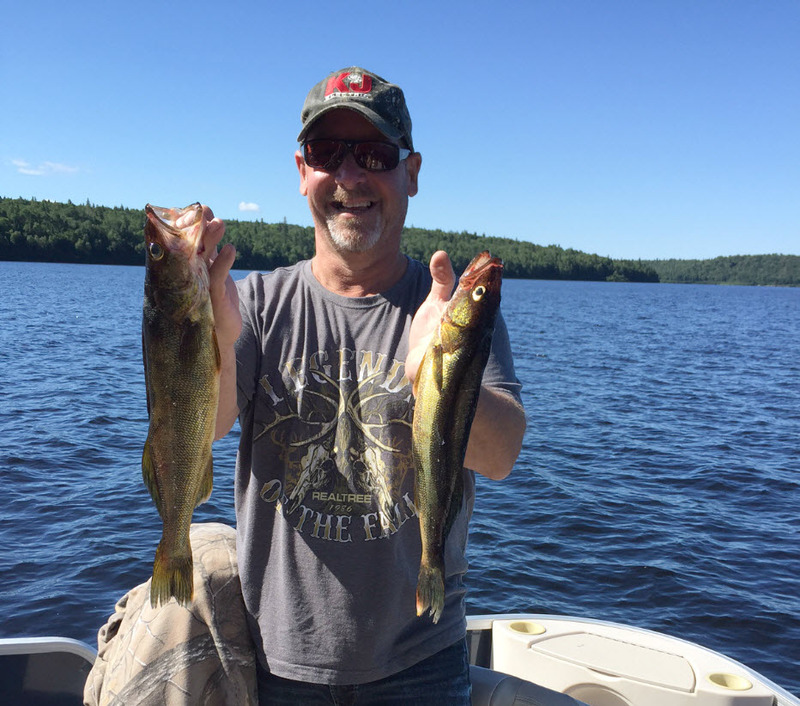 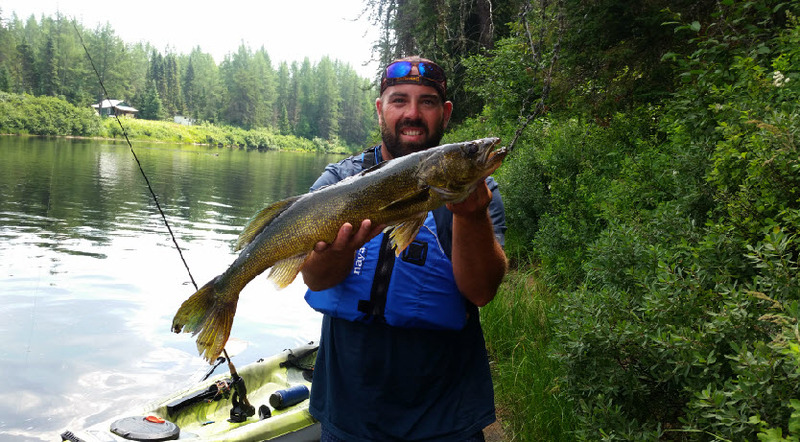 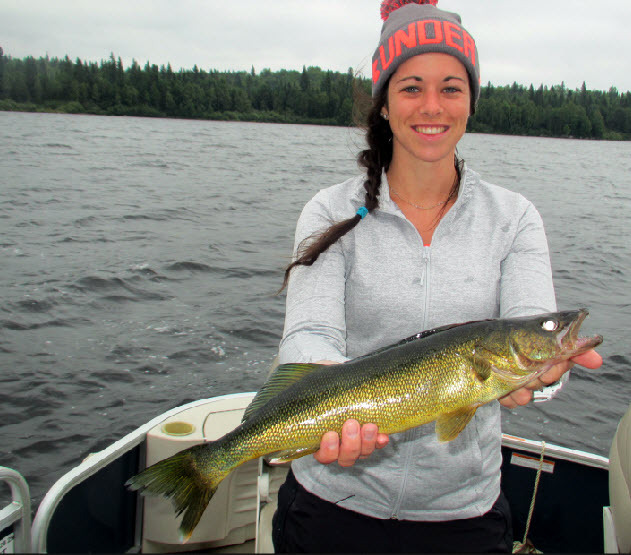 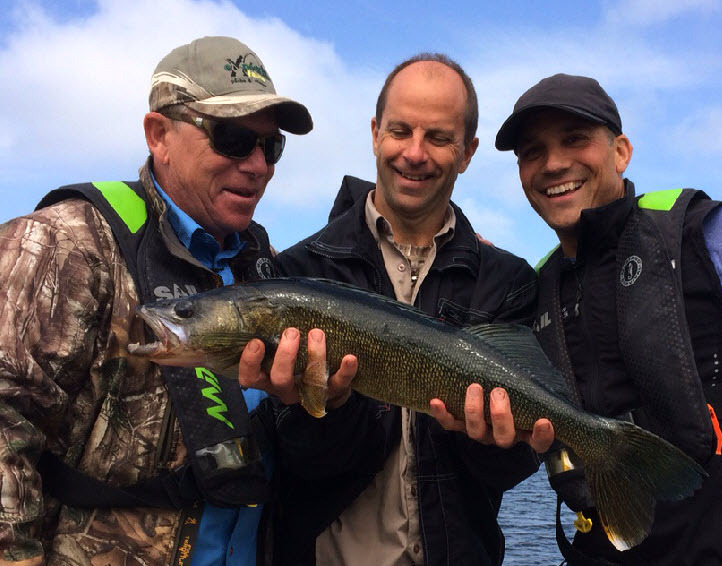 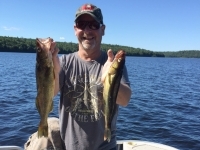 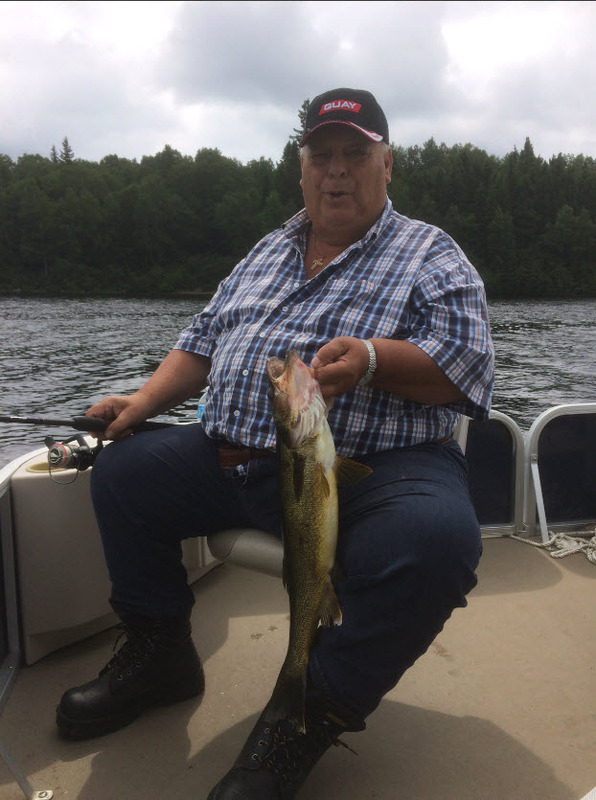 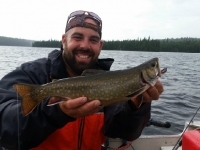 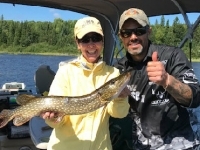 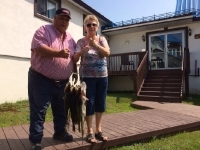 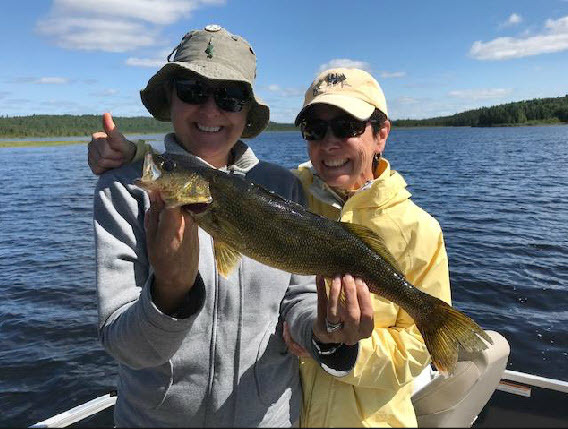 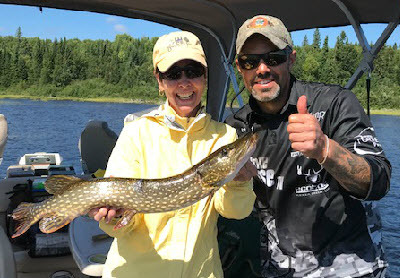 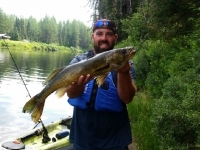 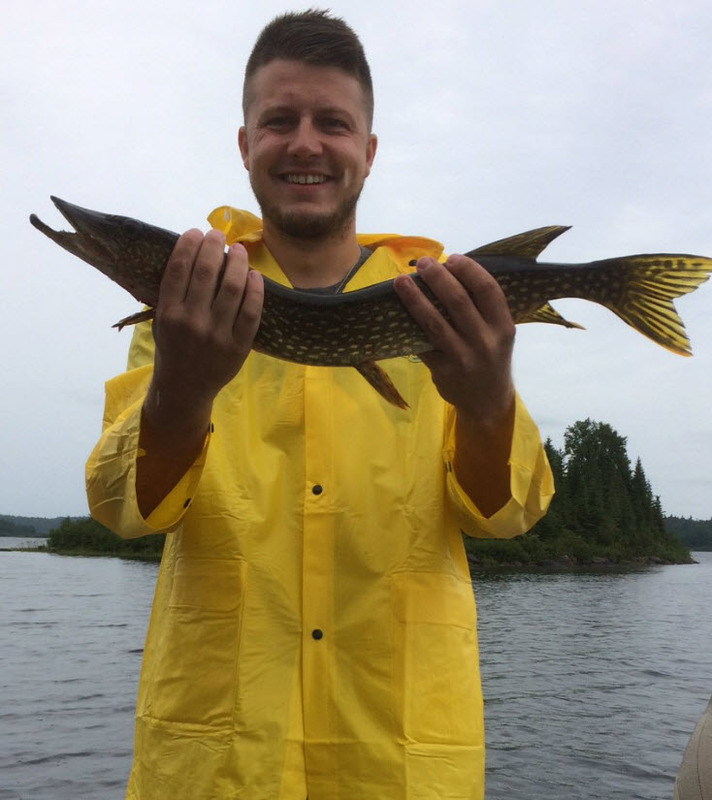 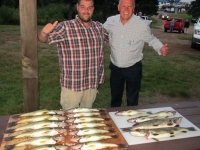 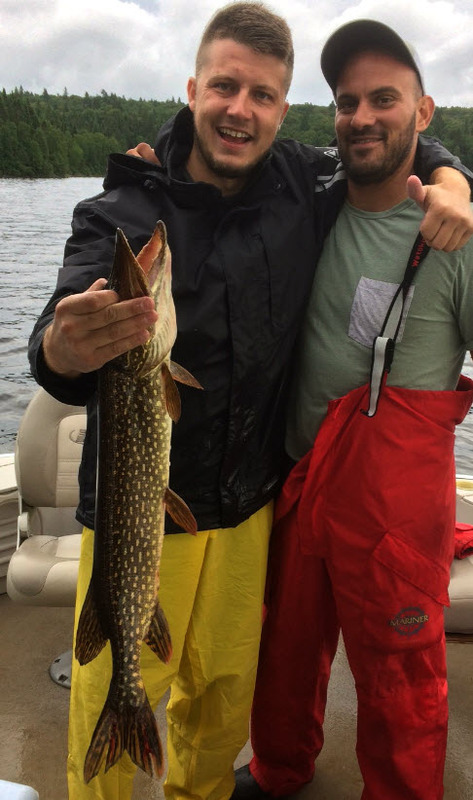 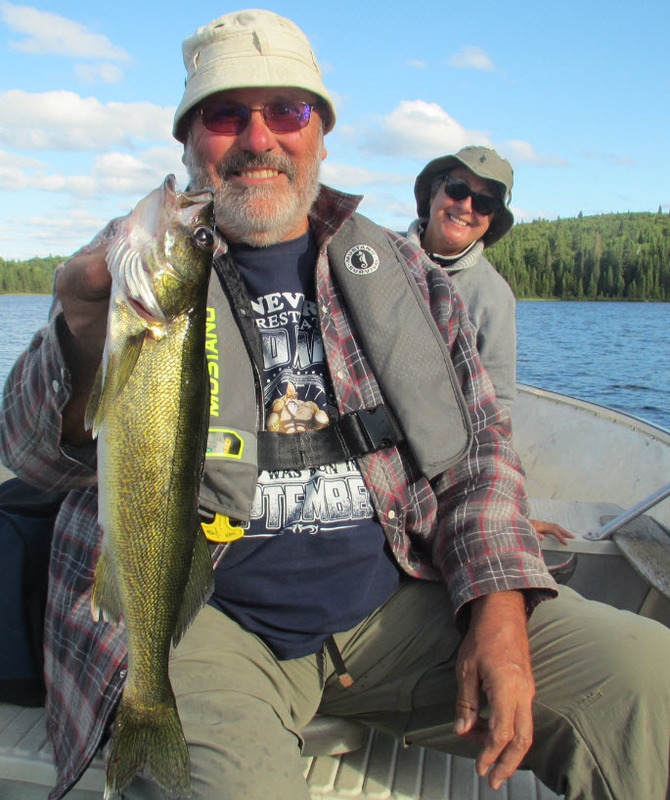 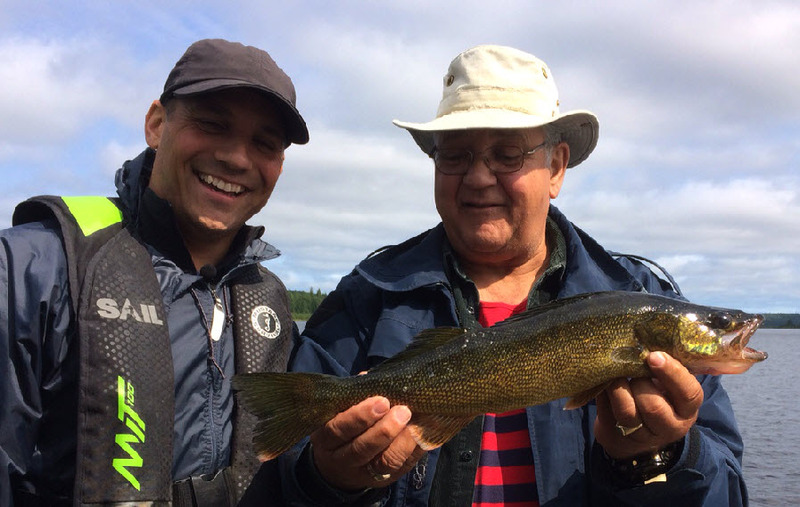 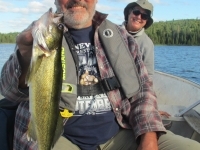 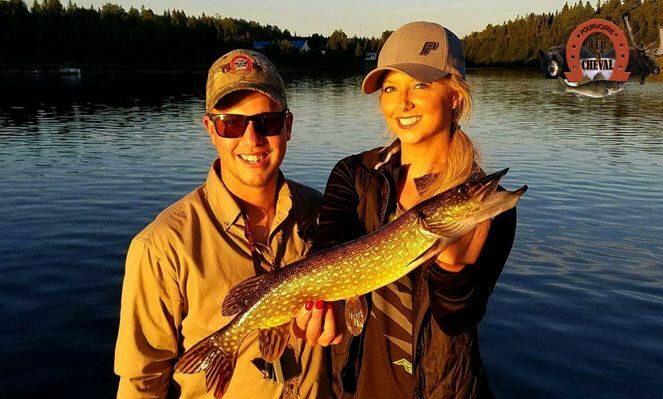 The lodge also has lakes that are home simultaneously to walleye and brook trout, which is very uncommon and noteworthy. 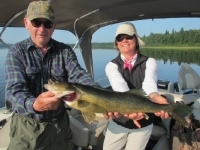 The magnificent Bazin river crosses the territory on a distance of over 16 kilometrers. 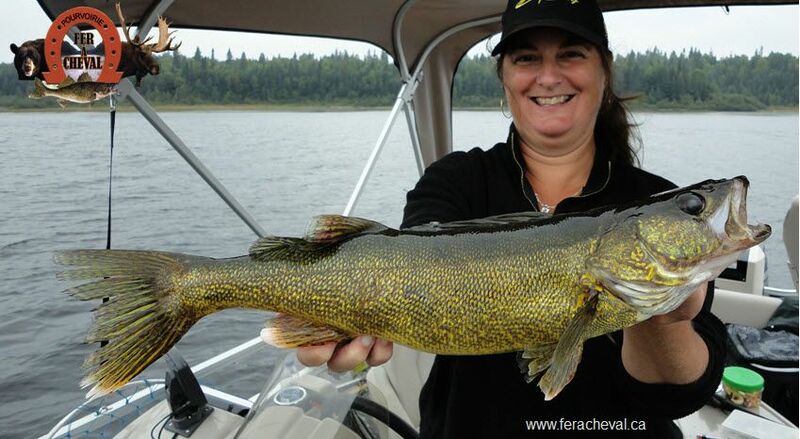 It represents a great challenge for the adventurous angler. 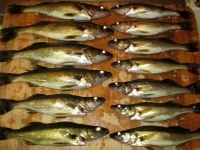 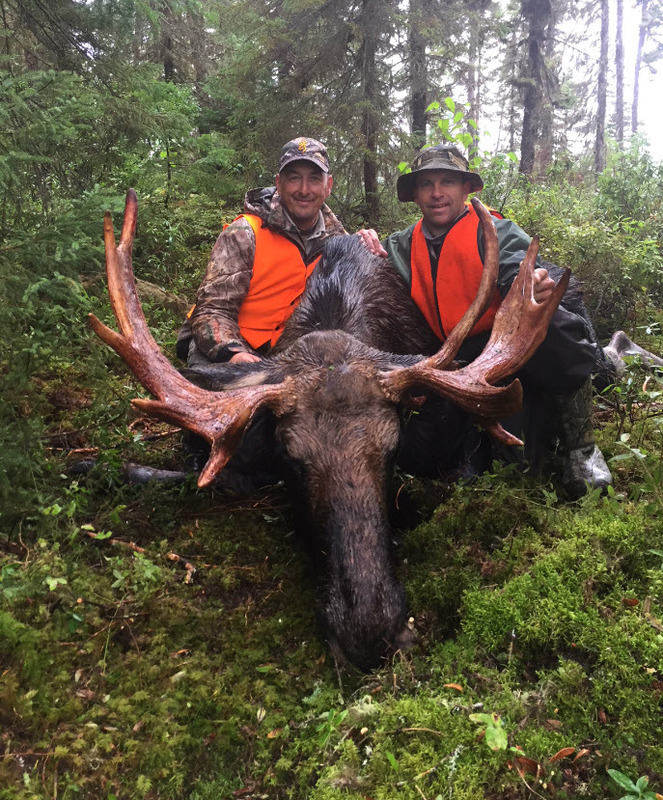 Each season, trophy species are caught in the area. 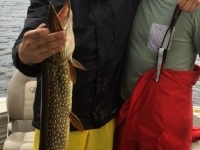 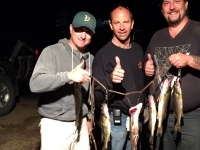 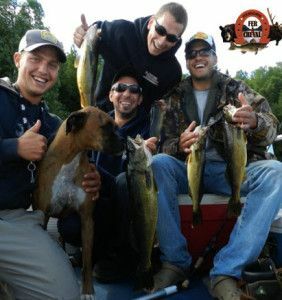 We are therefore able to offer a great variety of fishing options that will satisfy each and everyone’s needs. The engines and boats are of high quality (recently acquired) and two pontoons are also available on Lake Nasigon (reservation needed). 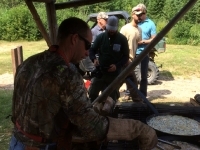 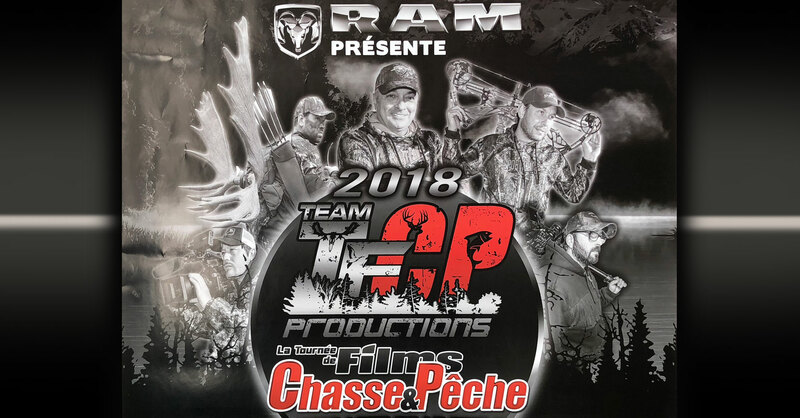 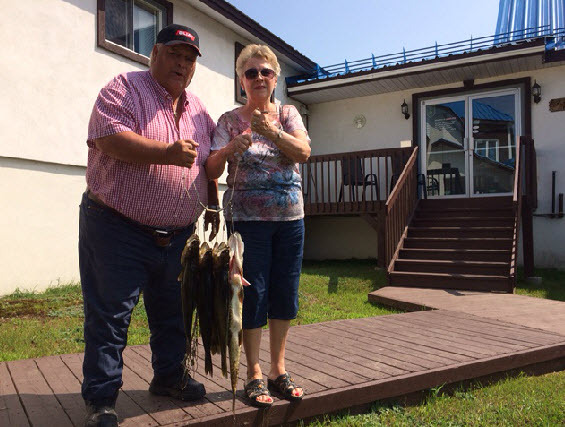 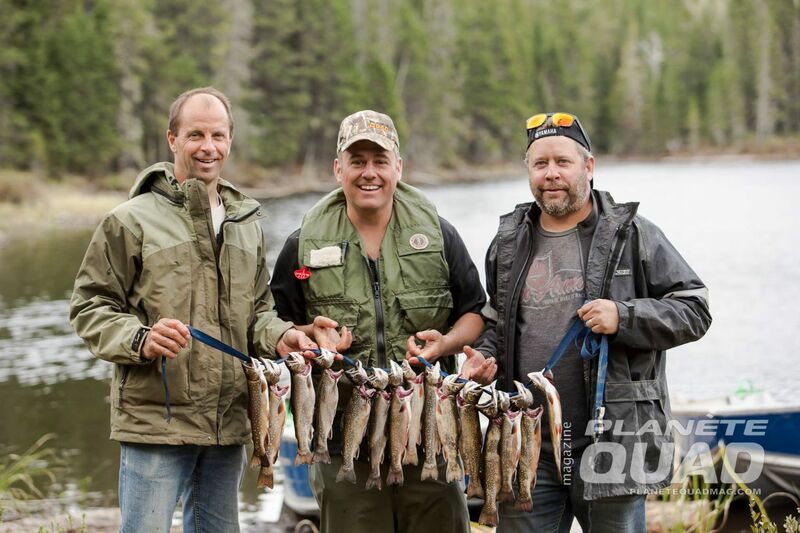 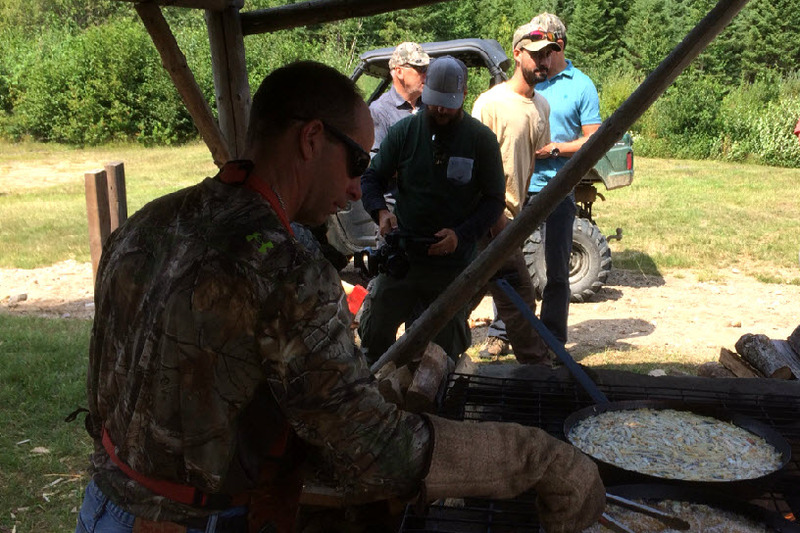 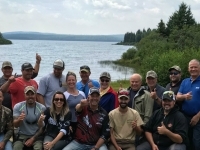 A guide is available on request, and corporate packages for group housing and fishing tackle are also available. 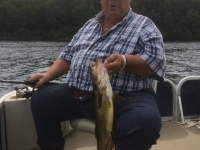 Pictures are worth thousand words…Enjoy!